Flash would love to meet you! He would do best in a quiet, adults-only home with experienced owners. Flash would love to find a home with another confident canine. Flash is currently spending time in a foster home. 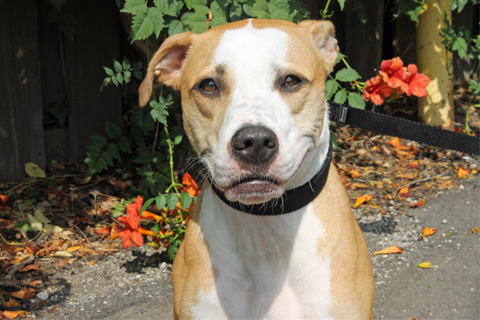 For more information on how to meet or adopt him, please e-mail adoptions@pawschicago.org. Meet Flash! 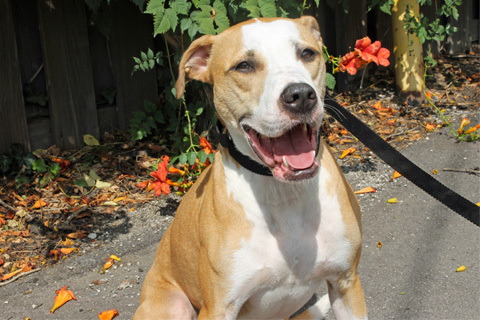 Flash is a gorgeous 2-year-old Great Dane/American Staffordshire Terrier mix who is looking for a human hero to save the day and make him theirs forever! His sleek blonde and white coat and loving eyes put this boy above the rest. He just may be the most handsome hunk you ever meet! 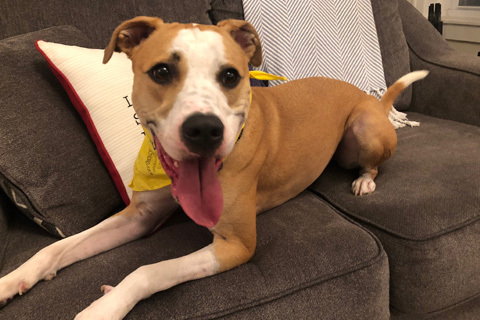 Flash was adopted out as a young pup and brought back after spending a year and a half in the home when his family realized he was not a good fit for their household. This sweet boy has had a tough time adjusting to life here at PAWS and will need a patient and understanding adopter who will accept him for who he is and help him explore this big world one paw at a time! 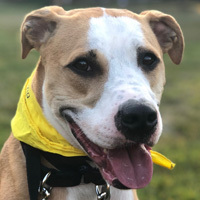 Flash can be very timid when entering new environments and meeting new people, so he will thrive in a home with an experienced adopter who can help him to build his confidence. As long as his new family is patient with him, Flash will come out of his shell in no time and reveal just how amazing he really is! 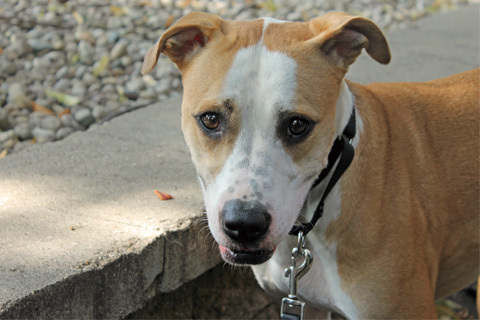 Flash is searching for a quiet, adults-only home with an experienced owner. 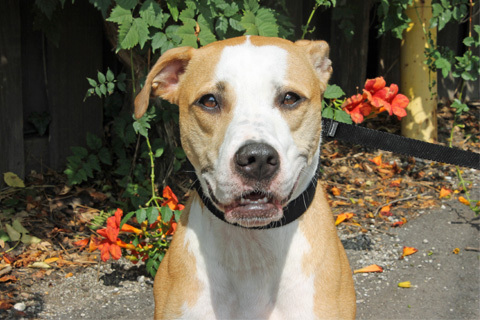 He would thrive in a home where there are not a lot of people coming in and out, as he is fearful of strangers. 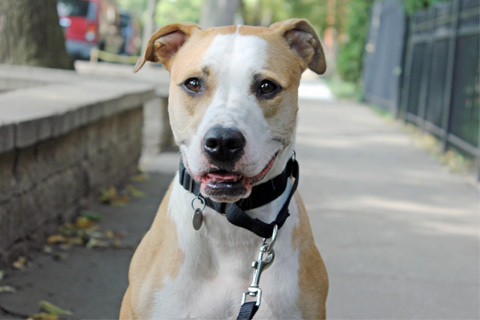 Flash does seem to come alive around other dogs and would love to find a home with another confident canine buddy! He recently spent some time in a wonderful foster home where he blossomed in no time. 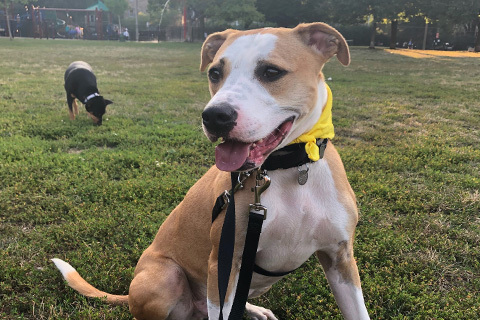 His foster mom loved him so much and told us that Flash is an extremely intelligent boy who is fine being left alone during the day and is fully housebroken! From his time there, we learned that he is a very snuggly, curious, and well-behaved boy who loves to curl up next to you on the couch! 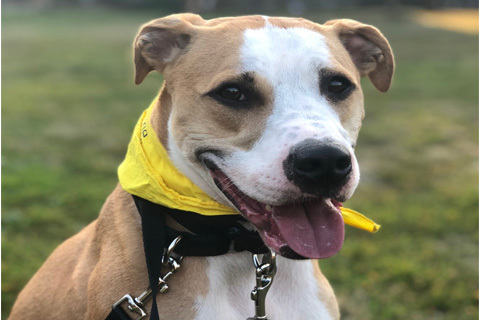 She describes Flash as being “one special boy who has the sweetest eyes and is just begging for a lifetime of love and companionship with his future family”! 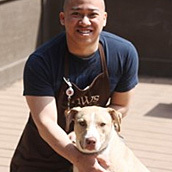 Some of his favorite things include rubber toys, bully sticks, Kongs filled with peanut butter, and squeaky toys! Flash clearly loves playtime and enjoyed romping around with his doggy roommate in his foster home! He also loves to go for calm walks to the park and is a gentleman on a leash! Think this boy is absolutely perfect for your home? 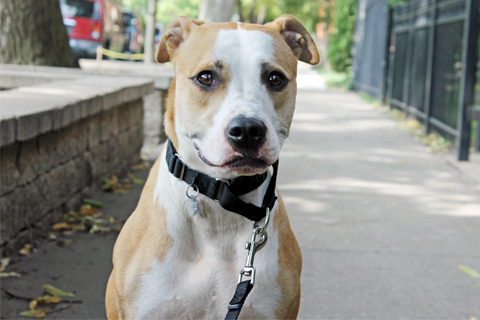 Then stop by our Pippen Fasseas Adoption Center at 1997 North Clybourn Ave., in the Lincoln Park neighborhood today! I'm a great walking partner and can go for miles! I get along very well with other dogs.